Small low cost aspirating smoke detector for easy and discreet installation. Two sampling pipes (100m aggregate) for flexibility. 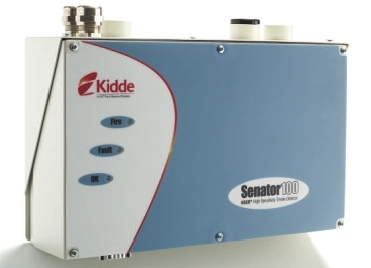 Senator 100 is designed to provide very high sensitivity smoke detection in a small package. ClassiFire-3D is the most comprehensive intelligence found in a smoke detection system to date and ClassiFire-3D ensures that the detector operates at optimum sensitivity for the protected environment, without the need for complex setup. This type of detector has been successfully applied in thousands of installations worldwide, ranging from Clean Rooms to Casinos.